Ashington or ‘Eshington’ as it is often pronounced in the town’s distinct local dialect has a bit of a misleading name. There are several place-names in south east Northumberland that end with the elements ‘ing’ and ‘ton’ with ‘ing’ usually describing a family kinship or tribal group while ‘ton’ means farm or settlement. Places such as Ellington (settlement of the people of Ella) are usually derived from the name of the Anglo-Saxon founder or settler. This is not the case with Ashington. Ashington, though clearly influenced by these typical local place-names was, originally called ‘Aescen-denu’ in old records and this is an Anglo-Saxon name that means ‘valley overgrown with ash trees’. The word ‘denu’ means dene – ‘a valley’. 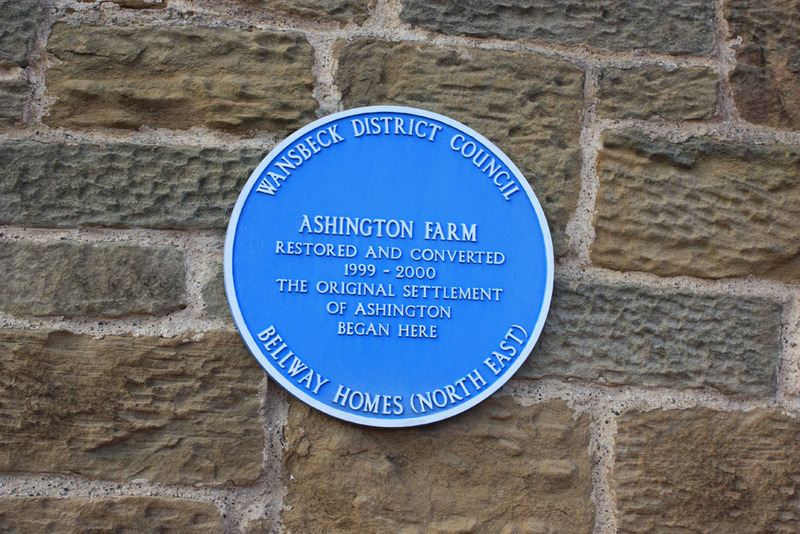 The original place called Ashington was Ashington Farm and manor, simply called ‘Ashington’ on a map of the 1860s while the tiny mining village of ‘Ashington Colliery’ then having only two streets was about three quarters of a mile to the north. The extensive stone farm buildings on the site of the older Ashington are still there today on the south western edge of the present town of Ashington. You can find the farm between Wansbeck Road and Shire Farm Grove. Just to the west of this farm is a wooded dene called Wellhead Dene or Dene Burn which joins the River Wansbeck to the south. This dene or perhaps the Black Close Dene a little further from the farm to the east may have been the ‘aescen-denu’ or ‘ash dene’ from which Ashington took its name. There was once an ancient well called St Margaret’s Well near to the River Wansbeck about half way between the two denes. Medieval families associated with Ashington included the Bertrams in the late 1100s followed by the Morwicks, with later families including the Essendens, Lumleys, Fitzhughs and then the Fenwicks of Wallington. The De Essendens, who resided here around the 1290s, were also called the De Eschendens and took their name from Ashington or ‘Essenden’ as it was by then known. The Fenwicks of Wallington owned Ashington until the late 1600s. 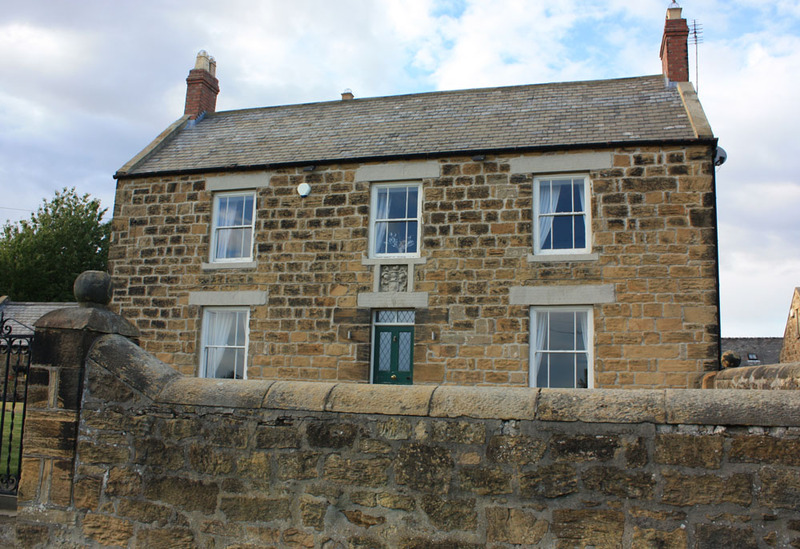 Subsequently Ashington was home to the Rutherfords, then George Sandiford Crow and by the 1830s belonged to the Dukes of Portland who would build many of the early houses in the mining village of Ashington. 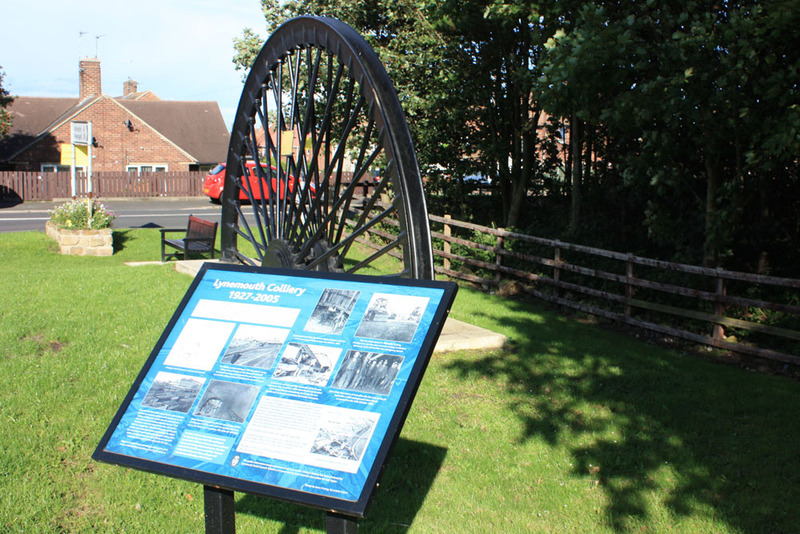 Ashington is situated to the north of the River Wansbeck and was once described as ‘the world’s largest pit village’, but it no longer has a colliery. It has, in truth, become a small town and is almost entirely a product of the nineteenth and twentieth century. Coal mining transformed Ashington from a farm surrounded by miles of empty fields into what would become a populous mining village and later a town. Perhaps it could be described as a small town with pit village roots. Ashington Colliery was initially operated by Harrison, Carr Company and opened in 1867 with the sinking of a shaft called the Bothal mine. 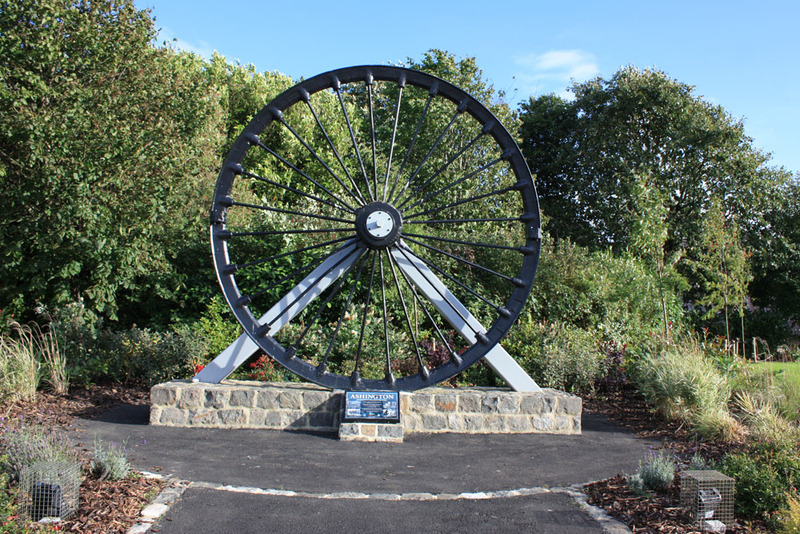 In 2017 Ashington Town Council commemorated the 150th anniversary of the opening of this mine with a pit wheel memorial at the site of the mine. The new village of Ashington sprung up alongside this mine. Over time settlers in the new village would come from the nearby countryside or neighbouring colliery villages as well as from more distant places such as Cornwall and Ireland. 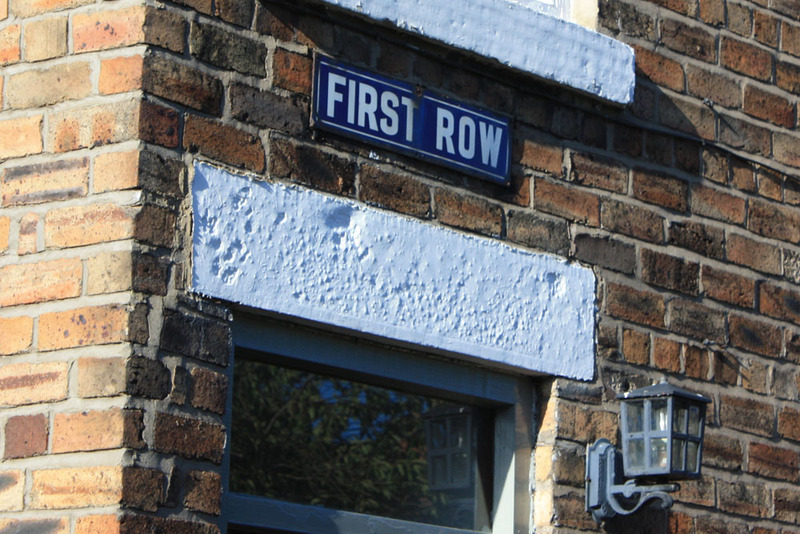 Ashington’s first two streets in the pit village were called Long Row and Cross Row. They were located in what is now the far north western corner of the town close to where the first pit of the colliery was located. The tiny Cross Row was near the present Ellington Terrace area and Long Row was situated in what is now the Devon Close area. Soon the village began to spread along the north side of a country lane that would become ‘High Market’ in which the village shops and amenities initially developed. The streets to the north of this lane developed in a grid iron pattern of long colliery terraces called First, Second, Third, Fourth, Fifth and Sixth Rows. They can still be seen. A little later the development of even longer terraces continued to the east: Seventh, Eighth, Ninth, Tenth and Eleventh Row of which all but Tenth Row (removed for the A197 Rotary parkway) are still a feature of this part of Ashington today. Initially Ashington Colliery was linked via the Ashington wagonway to what is now the East Coast Main Line to the west but from 1872 it was more significantly connected to a new branch of the Blyth and Tyne Railway just to the east of the village which entered the Ashington area from the south and connected the colliery to the docks of the Tyne. In the fields just east of this railway, a new separate pit village (though also serving Ashington Colliery) was built called ‘New Hirst’ or simply ‘Hirst’. In between the two villages a railway station opened in 1872 that was initially called Hirst Station or ‘Hirst for Ashington’ and it was not officially given the name ‘Ashington’ Station until 1889. Ashington station closed in 1964 but the railway is still in place and recent feasibility studies have supported a plan to reopen the station with links to Newcastle. 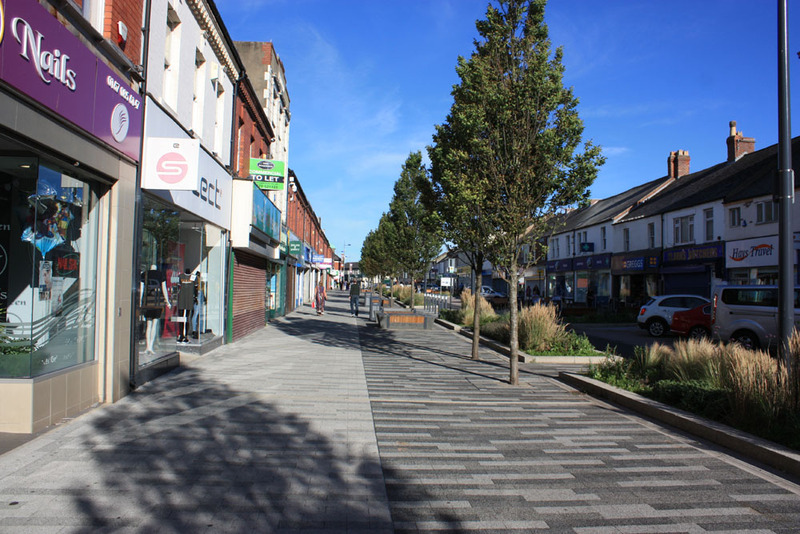 Station Road which linked Ashington and Hirst developed as the town centre for both places and would become the principal shopping street for the whole town as it still is today. Today an area just north of this street is being transformed into a retail and cinema development called Portland Park. The name ‘Hirst’ is of Anglo-Saxon origin and was first recorded here in medieval times and means ‘woodland’. A field associated with Hirst called the ‘Gallow Field’ is thought to be the place where the old barons of Bothal Castle exercised their privilege of hanging felons captured within the jurisdiction of their court. The field is the one at the south east corner of the present Ashington Community Woodland and still maintains an association with law and justice as just across the railway to the south east is Ashington Police Station. Slightly to the east, an earlier farming settlement called Low Hirst in the present Castle Terrace area of Hirst, was absorbed. It was the site of Hirst Castle which was in fact a battlemented farmhouse or ‘bastle’. 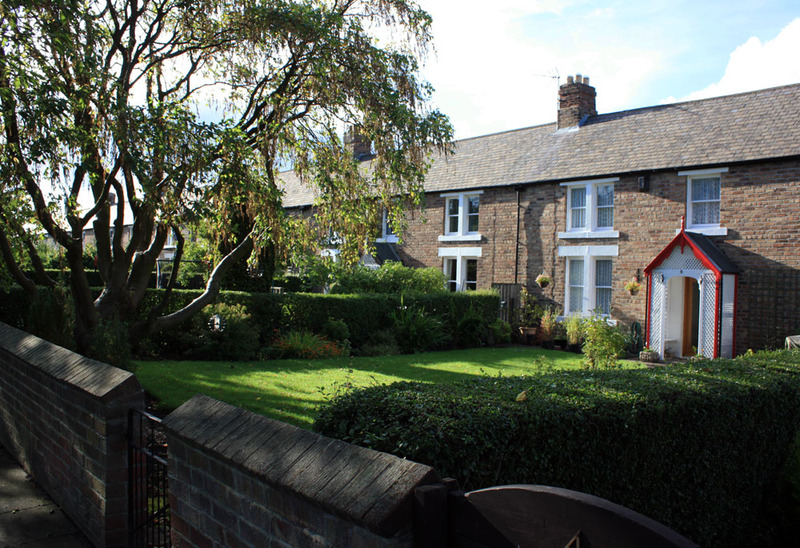 Like Ashington, the mining village of Hirst was built along a grid iron pattern with the streets of this new, square-shaped village bounded initially by Second Avenue on its south side and given tree-themed street-names like Myrtle Street, Poplar Street, Sycamore Street, Hawthorn Terrace and Acacia Terrace. The grid development of the tree-themed streets continued southward in the early twentieth century. They were criss-crossed by the Third, Fourth and Fifth Avenues, in almost New York-naming style except these were humble mining terraces. The original tree-themed streets are still there enabling us to trace the early outline of the once separate community of Hirst. To the east other mining terraces in Hirst adopted Shakespearean female character names in the form of Rosalind, Portia, Ariel, Beatrice, Katherine and Juliet Streets. By the mid twentieth century Hirst was a bigger village than its neighbour across the railway to the west and one mark of the initial separateness is that the two villages still have their own parks, namely the People’s Park in Ashington and Hirst Park (of 1915) in Hirst. However it was the name of Ashington that would prevail for the whole town. In 1934 a group of miners in Ashington with a passion for painting attended classes to learn more about the techniques of art and this proved a successful enterprise that enabled them to supplement their wages. Known as the ‘Ashington Group’ or ‘Pitmen Painters’, their story has been portrayed in a stage play by the Billy Elliot writer, Lee Hall. Ashington is certainly no stranger to producing diverse talent. Followers of English football know Ashington as the place that produced three very famous footballing sons, namely the legendary Jackie Milburn, known to fans of Newcastle United as ‘Wor Jackie’ and it was also the birthplace of his nephews, the footballing brothers Bob and Jack Charlton who represented England in the World Cup winning team of 1966. The footballers George, Jim and Stan Milburn were also noted footballers from Ashington and were uncles of the Charlton brothers. Jack and Bobby honed their footballing skills at Ashington’s Hirst Park and perhaps the passion for football ran deep in their blood. The names Charlton and Milburn were of course historically reiver names associated with North Tynedale back in Tudor times and the reivers were known as fanatical footballers, though their games back then were often of a violent nature. In 1988 Ashington Colliery closed, bringing a sad end to the industry that had brought about the town’s very existence. Many of the miners were transferred to the neighbouring Ellington Colliery to the north. Today, the former colliery site is now the Wansbeck Business Park to the north of Ashington (although the actual river is south of the town) and this has helped to bring some new employment to Ashington . There had been several other collieries in the Ashington area and all contributed to the growth and commerce of the town. They included the collieries of Woodhorn, North Seaton and Newbiggin to the east with Linton, Longhirst, Ulgham, and Pegswood collieries to the north and west. All of these collieries had ceased operating before the closure of Ashington Colliery. North Seaton, an integral part of Ashington lies in the south east corner of Ashington near the mouth of the River Wansbeck and its former colliery was established slightly earlier than Ashington, (1859-1961). It is now the site of North Seaton Industrial Park. North Seaton, incidentally was the birthplace in 1933 of the entrepreneur Sir John Hall who was the son of a miner. A one time mining surveyor, Sir John Hall is best-known as the man who developed the MetroCentre at Gateshead and was for a time the owner of Newcastle United Football Club. 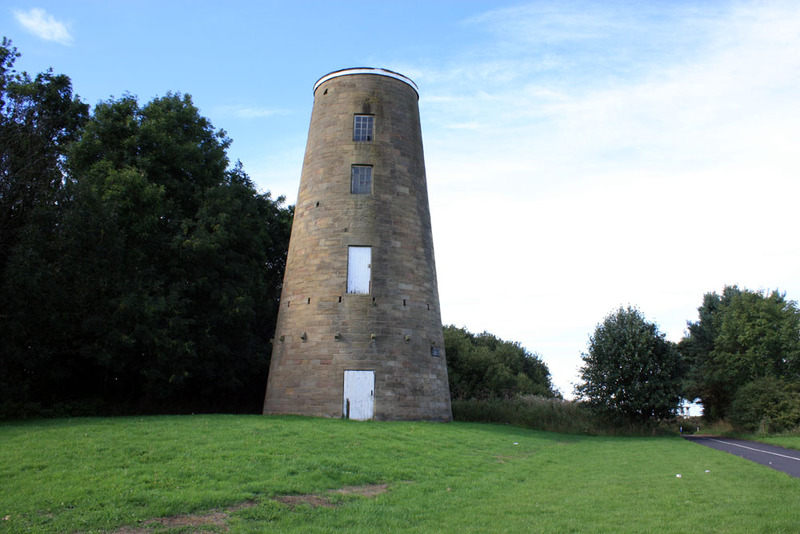 Ashington is blessed with pleasing places for locals to enjoy the outdoors. Near Sheepwash and Wellhead Dene, at the south west corner of the town, is the Wansbeck Riverside Park alongside the wooded valley of the Wansbeck. Then to the north of Ashington we have Ashington Community Woodland and to the north east the Queen Elizabeth II Country Park which includes a substantial lake. Only a quarter of a mile from the eastern edge of the town we reach the coast line and sandy bay of Newbiggin-by-the-Sea beyond and to the north of Newbiggin the long sandy stretch of Druridge Bay. The River Wansbeck which separates the town of Ashington from neighbouring Stakeford and West Sleekburn to the south has been described as the only beck in Northumberland, but is in fact not a beck at all, as the name derives from the Anglo-Saxon ‘Waeganspick’. A ‘spick’ was a bridge made from tree trunks and a ‘waegan’ (pronounced wain – as in haywain) was a ‘wagon’ so Wansbeck literally means ‘Wagon Bridge’, a reference to a river crossing, though where this crossing was located is not known. Perhaps it was somewhere near Ashington or maybe upstream in Morpeth. 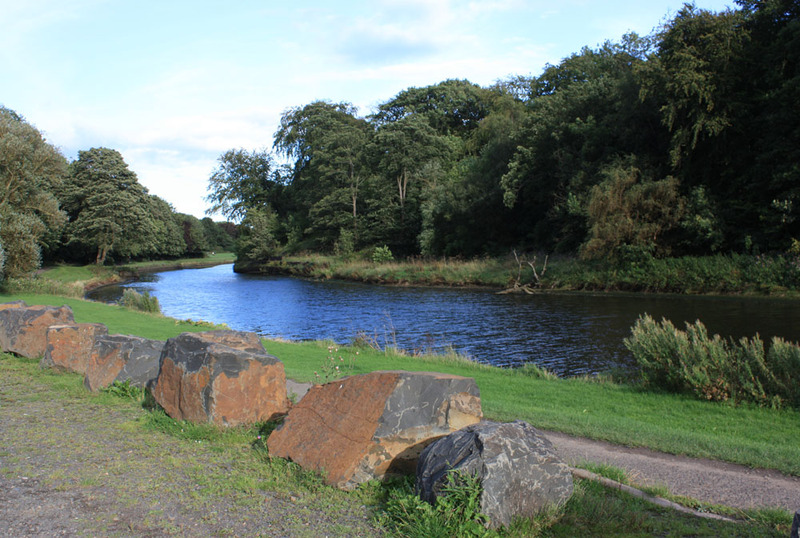 The River Wansbeck is about thirty miles long, rising in the ‘Wilds of Wanny’ near Sweethope Loughs and heads east passing close to Kirkwhelpington, Wallington Hall, Meldon Park and Mitford before meandering through Morpeth. From there it continues east passing Bothal Castle then enters the Ashington area at Sheepwash. Historically Sheepwash was always called ‘Shipwash’ even into the nineteenth century and was the site of a ford that marked the limit or ‘wash’ beyond which small sailing vessels could not pass. From Shipwash the river skirts the southern edge of Ashington before finally entering the sea at a sandy bay near North Seaton about a mile south of Newbiggin. 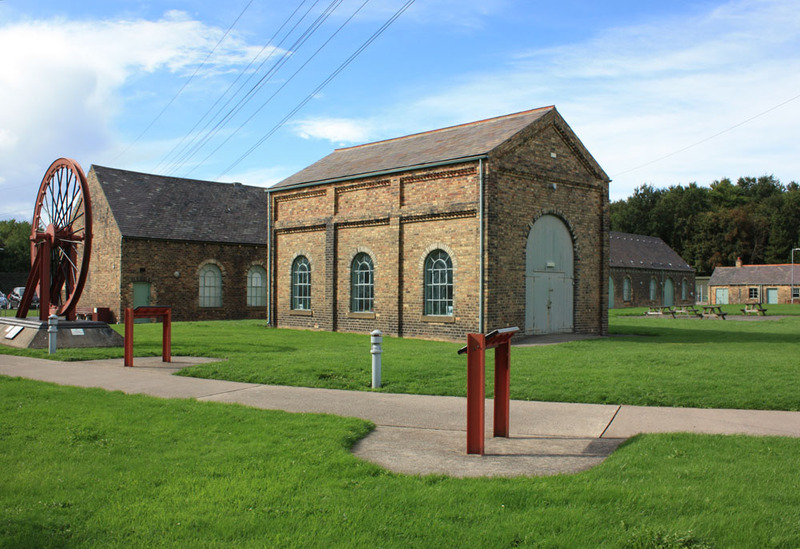 Woodhorn means ‘wooded corner of land’ and is an historic place of much interest just north of Ashington. It consists of Woodhorn Museum and the Northumberland Archives on the northern edge of Ashington and is bordered by the nearby Queen Elizabeth II Country Park. About a quarter of mile further to the north east we have the old village of Woodhorn with its historic church nearby. The superb Woodhorn Museum occupies the extensive colliery buildings of Woodhorn Colliery which operated here from 1894 to 1981. 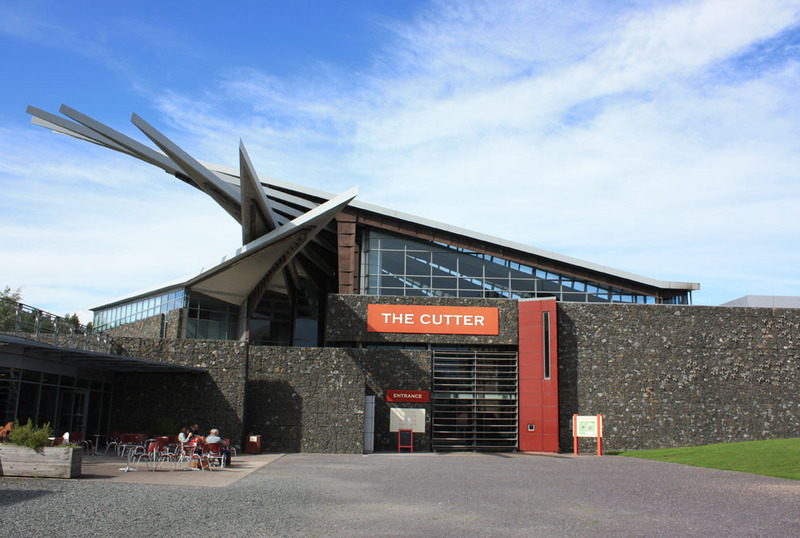 The building, complete with the pit head winding gear is a modern and lively family-focused museum that can easily compete with many national museums. It focuses on the mining and social heritage of the area. 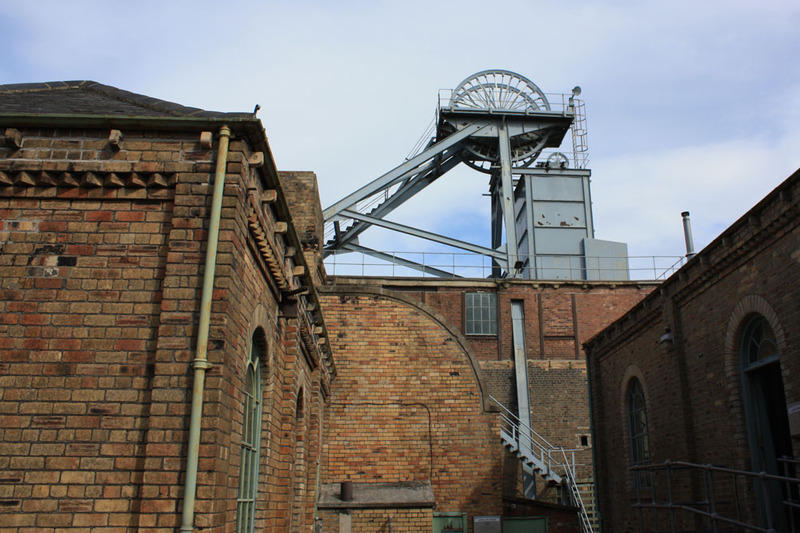 The old colliery buildings can be explored and you can hear the sights and sounds that miners would have experienced and learn about some of the experiences of the miners in the Northumberland’s pits. 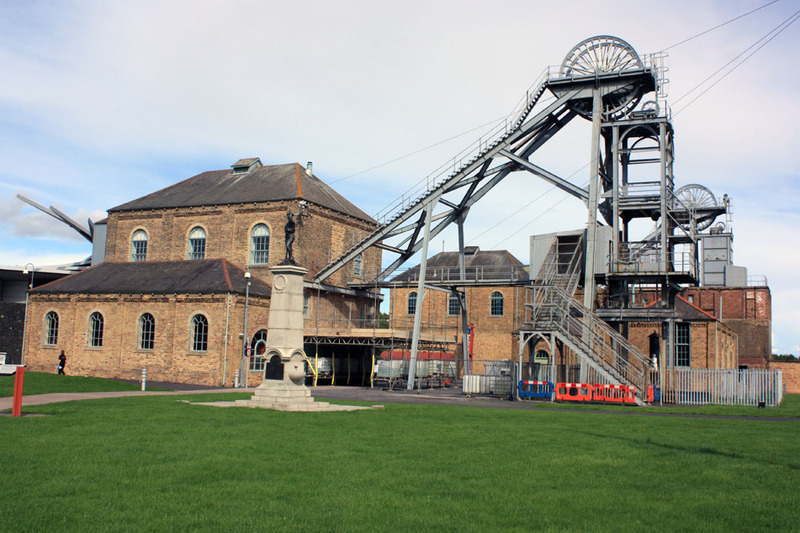 The original colliery buildings at the museum are very extensive and quite handsome too although a large part of the museum’s exhibits and galleries are in a neat modern building alongside where there is a great deal more to explore. Here one the museum’s best-known exhibits is the wonderful collection of paintings by the famed ‘Ashington Group’ of 1930s artists known as the ‘Pitmen Painters’. The museum has a changing and varied exhibition programme and often hosts lively family activities such as cos-play events. Many exhibits focus on social history and the museum includes a collection of miners’ banners from the collieries of the local area including the Ellington banner, which was the very last pit to close in North East England. The modern part of the museum also incorporates the Northumberland County Archives with historical records and documents relating to the county. The broader story of Woodhorn goes back to medieval and Saxon times. It is thought that Woodhorn may be the ‘Wucestre’ given to the Community of St. Cuthbert by the Northumbrian King Ceolwulf in Anglo-Saxon times when the king retired to become a monk on Lindisfarne. Lands in neighbouring Bedlingtonshire were also given to the community by this king. In the 1110s Woodhorn was part of the Barony of Bywell (a place in the Tyne Valley) and belonged to the powerful Balliol family who were also associated with Barnard Castle in Teesdale. Hirst, Ellington, Cresswell, Newbiggin and Lynemouth all in the neighbourhood of Woodhorn all formed part of this barony despite their distance from Bywell. In 1292 Woodhorn and the other mentioned places were taken from the Balliols and given by Edward I to the Earl of Brittany who was also Earl of Richmond (in North Yorkshire). These lands were subsequently confiscated from the earl by Edward II and the lands were handed over to a custodian called Robert of Byncester. Following the earl’s death in 1334 the lands were given by Edward III to a burgess of Newcastle called John Denton (who was mayor of that town in 1536). In 1343 Denton conveyed Woodhorn and nearby Newbiggin to the local family of Widdrington in whose hands it remained up until their involvement in the Jacobite rebellion of 1715 when their lands were confiscated. 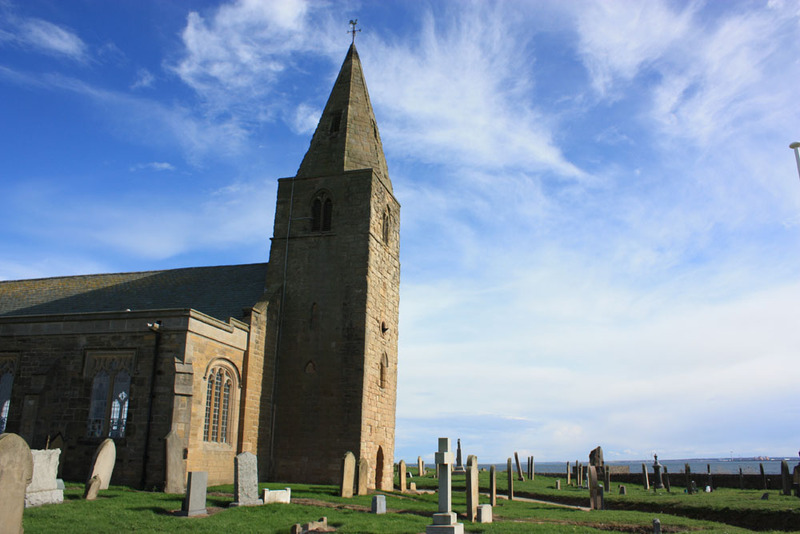 The church of St Mary at Woodhorn lies to the east of the village and is one of the oldest in Northumberland. Inside, the church is partly Saxon, notably the nave and lower part of the west tower though the church has also been described as ‘early Norman’. There are thirteenth and fourteenth century additions and externally much of the church belongs to the 1840s restoration carried out by architects John and Benjamin Green. The upper part of the tower is ‘neo Norman’ and belongs to the nineteenth century. Anglo-Saxon and possibly Viking influenced cross shaft sculptures have been found at this church. Sadly, St Mary’s ceased to be a working church in 1973 and has served various roles since that time. Woodhorn village is tiny but attractive with a handful of old cottages. Just to the north is the tower of an old windmill, though it has no sails. It once served as a navigation aid or way-marker for sailing ships out at sea. 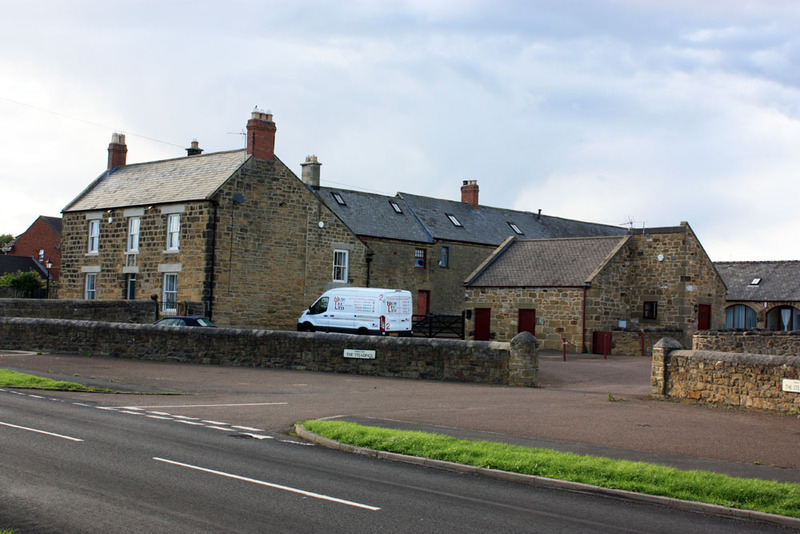 The village is the home to the Northumberland Tartan Company which produces and promotes the wearing of traditional Northumberland tartan or plaid. One of the oldest known plaids, this tartan is specifically associated with Northumberland. Known as the Border or Shepherd’s Plaid it is woven with black and white wool producing a very subtle and beautiful chequered pattern. Northumberland tartan products available from this company include kilts, ties, bow ties, scarves, shawls, waistcoats and caps as well as tasteful gifts featuring the plaid pattern on flasks and mugs. Immediately south of Woodhorn and to the east of Ashington we find the coastal town of Newbiggin-by-the-Sea. This place has a long history and an Anglo-Saxon name that means ‘new building’ though what this building was, when or why it was built and what its associations were are not known, though it seems to have been historically connected with neighbouring Woodhorn. In the 1820s Newbiggin was described as consisting of “one irregular street”, with some “tolerably good houses” and there were then four inns and public houses. It was already a popular bathing resort by that time with its beach located in Newbiggin Bay between the promontory rocks of the Spital Carrs to the south and Newbiggin Point to the north. Situated half between the mouths of the River Wansbeck and River Lyne, Newbiggin served as a modest agricultural and fishing port in times past. It was exporting corn to places like London and Hull in medieval times and is known to have furnished a ship in the early 1300s for Edward II during his wars with the Scots. Fishing was an important industry at Newbiggin and by the nineteenth century it principally traded fish to the markets of Newcastle upon Tyne. King Edward II visited and stayed at Newbiggin for three days on his way north to besiege Berwick and would return again later in his reign. A market and a fair were established at Newbiggin during this century and it is known that a pier existed here by 1352. 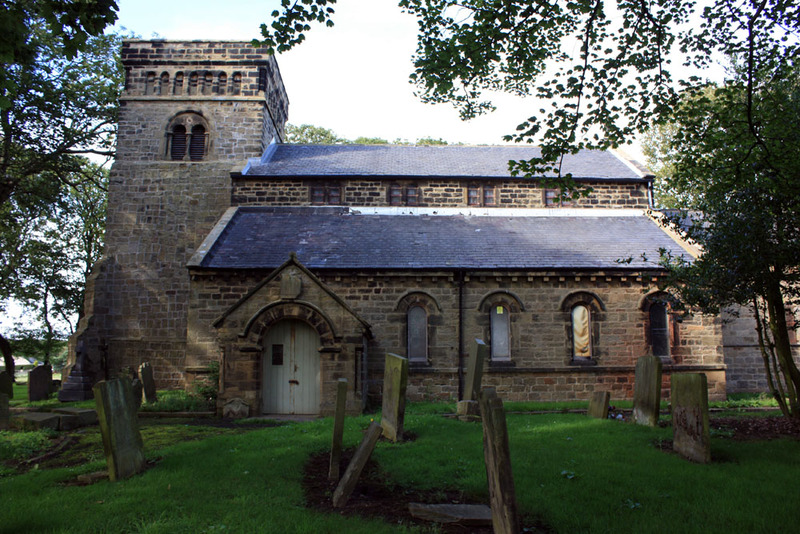 St Bartholemew’s church at Newbiggin dates from the thirteenth century. It has an impressive coastal setting and a tower topped with a spire of the fourteenth century that once served as a beacon for passing ships. Perhaps the spire was built with that purpose in mind. In 1851 a lifeboat station was established at Newbiggin following a tragedy in which ten Newbiggin men lost their lives at sea. Newbiggin also has the interesting distinction of being the western landing point of a telegraph table that linked Denmark to England and put into place in 1868. 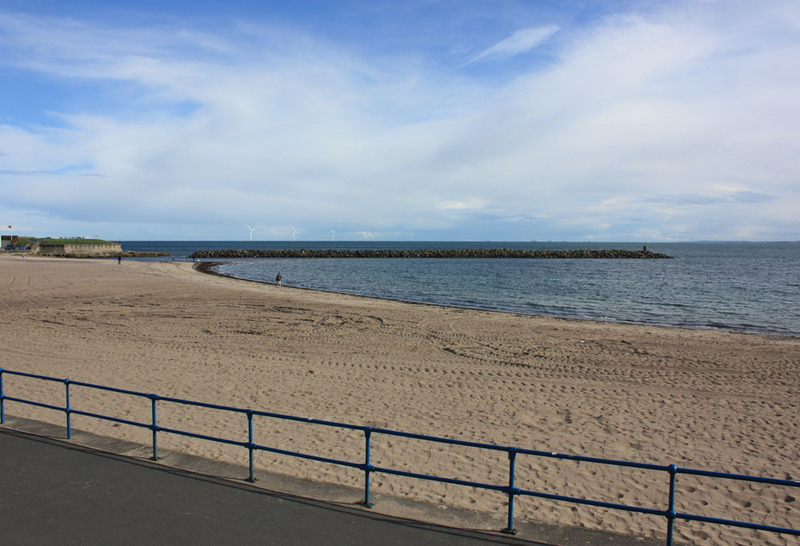 In the first decade of the 21st century there was increasing concern over the erosion of the beach at Newbiggin which is of course a major part of the town’s heritage and character as a coastal resort. Over 500,000 tons of new sand was imported from Skegness and a new breakwater was built out at sea, near the entrance to the bay, to protect the beach from erosion. 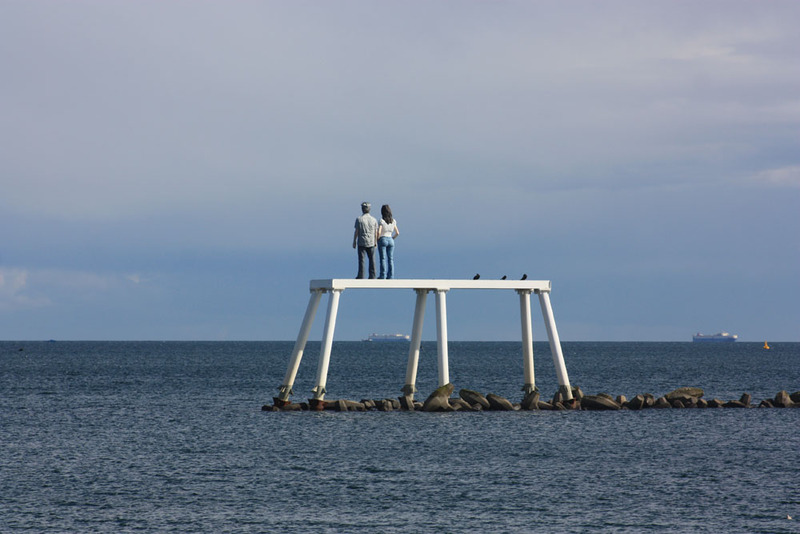 The breakwater features an intriguing sculpture erected in 2007 called ‘The Couple’. This 12.5 metre high structure includes a giant male and female figure standing side by side on a platform looking out to sea. 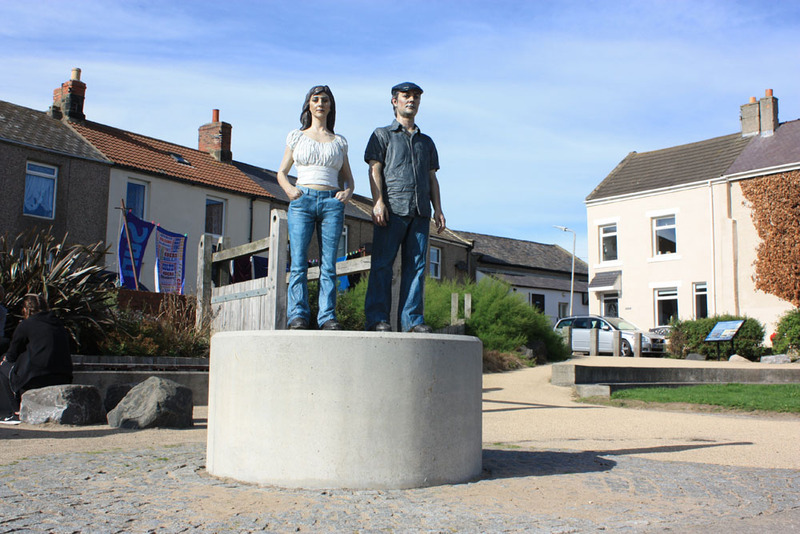 A smaller version of the figures can also be seen overlooking the beach to the north and are known as the ‘land couple’ forming part of the whole piece they are identical figures to the ones out at sea and look out towards the sea couple, enabling us to see what they look like from the front. 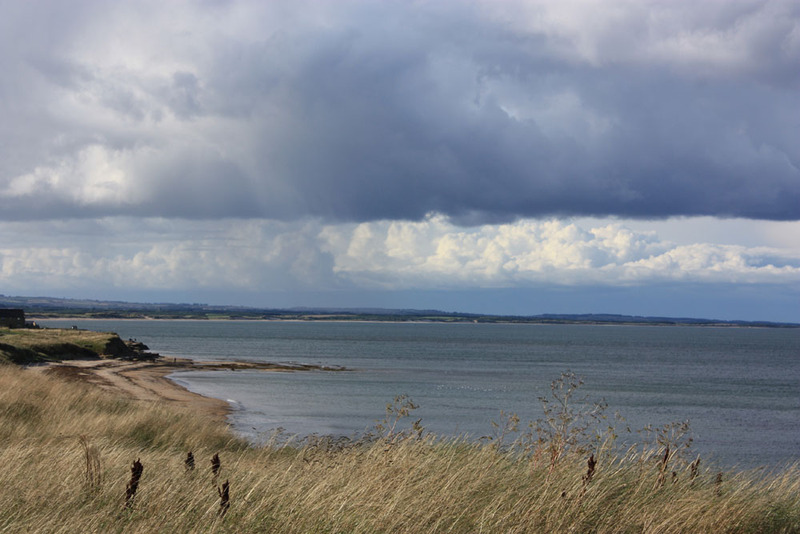 To the north of Newbiggin are the villages of Lynemouth, Ellington and the village of Cresswell near the southern edge of the seven mile long Druridge Bay. Lynemouth is at the mouth of the little River Lyne which, despite its diminutive nature, has been noted for the industry at its river mouth. The village of Lynemouth didn’t exist in the nineteenth century and the river mouth was completely undeveloped with no settlement on or near the river mouth except for the small village of Ellington some two miles or so upstream from the river mouth. When Ellington Colliery opened in 1908 followed by Lynemouth Colliery to the east in 1927 the brand new village of Lynemouth provided a workforce. Much later, Lynemouth Colliery combined with Ellington Colliery under one management team in 1983 and became the biggest undersea coal mine in the world. Lynemouth Power Station on the south side of the River Lyne at the very point where it enters the sea was established in 1972 and was originally a coal-fired station but since 2004 it has gradually converted to using biomass fuels, mostly sawdust and wood pellets provided from sustainable forest sources. 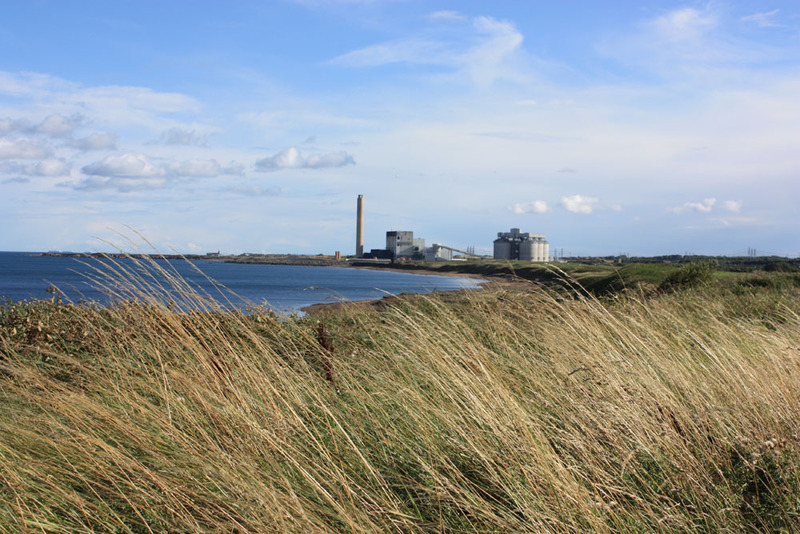 The other industrial landmark for which Lynemouth is noted was the Alcan Aluminium smelting plant with its eight huge chimneys that opened in 1974. Production at this plant ceased in 2012 and its eight chimneys were demolished in 2016. Lynemouth and Ellington along with several locations in east Durham such as Easington featured in scenes of the 2000 movie Billy Elliot. The village of Ellington has an Anglo-Saxon name that means ‘Ella’s people’s settement’ and consists of some old stone houses in the centre of the village that formed the old farming village and extensive modern housing estates, mostly of the latter half of the twentieth century. There is little sign that this was a village famed for its coal mine except perhaps for the terraced streets called First Row, Second Row and Third Row which were once a separate mining hamlet absorbed by Ellington’s expansion in later decades. Ellingon Colliery, one of the largest deep mine coastal pits in the North East was situated just across the Lynemouth Road to the south of here. This colliery, famously known in its later days as ‘the Big E’ opened in 1909 and by the 1980s employed more than 2,000 men. Sadly on January, 26, 2005 it gained the unwanted historical distinction of being the last colliery to close in the North East of England. Although open cast mining continues in the region today Ellington’s closure marked the end of deep mining and drew a close on a major aspect of the history of both Northumberland and North East England as a whole.